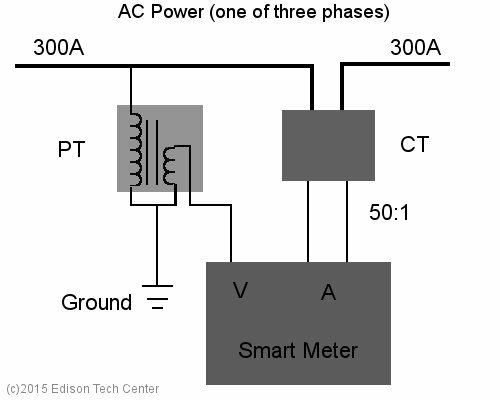 When we talk about measuring current we immediately run into the problem of how to measure higher currents found in AC power transmission. 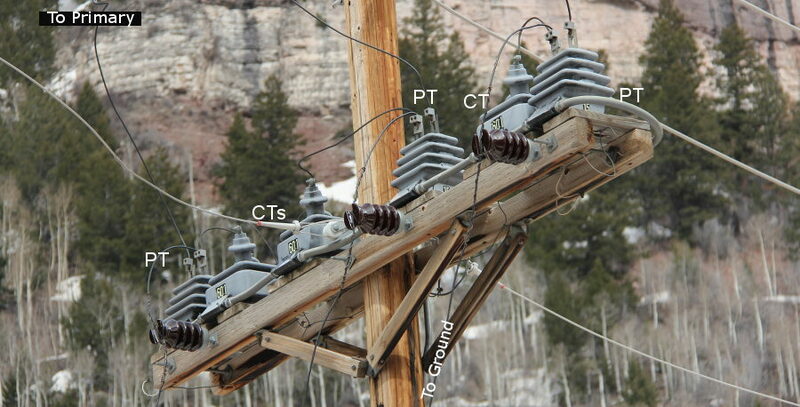 Engineers discovered they can use transformers not just for converting voltages for transmission, but to grab a sample of the line for use with meters that would otherwise burn up under the full load. “Instrument transformers” create a low voltage version of the primary’s signal, allowing meters to read the voltage and other aspects of the primary line. There are two kinds of instrument transformers, the current transformer for ammeters and the potential transformer for volt meters. There are many kinds of PTs designed for all sorts of high voltages. Here is a full reference on PTs by GE Grid Solutions.